Harare City Junior Councillors have taken a positive stance in community building initiatives to help the underprivileged children. The young councillors held a family fun day under the theme, “Building a community drive” at the Mayoral Mansion in Gunhill last Saturday. “The family fun day had a good turn out and families who came enjoyed themselves through various activities including jumping castles, video games, and dancing competition. Donsa said the motive behind the fun day is to raise funds. “The motive was to raise money to purchase textbooks and stationery for underprivileged children. “We enjoyed ourselves as we are now fully prepared for the Christmas season that is upon us,” he said. Another junior councillor, Samantha Chikwanha also pledged to continue doing community related initiatives. 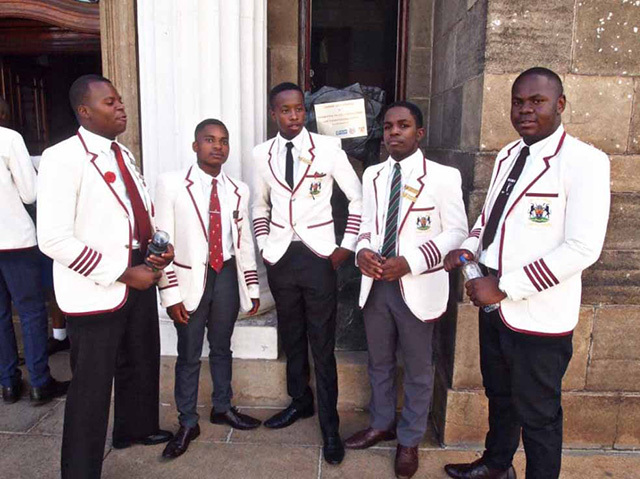 “As Harare City Junior Councillors, we deal with the problems which the youths are facing in Zimbabwe. “The proceeds will be disbursed to schools and homes. The councillors also appealed to donors and everyone in the community to play a part in assisting those in need. “So far we have raised over 3 000 pads and we distributed some to homes which marks progress for the 2018 to 2019 period. “We have other small minor projects including tree planting in commemoration of Global Action launched by UN happening this coming Saturday,” said Chikwanha.